Spice up your holiday mix and mingle with this "best dressed" brew. 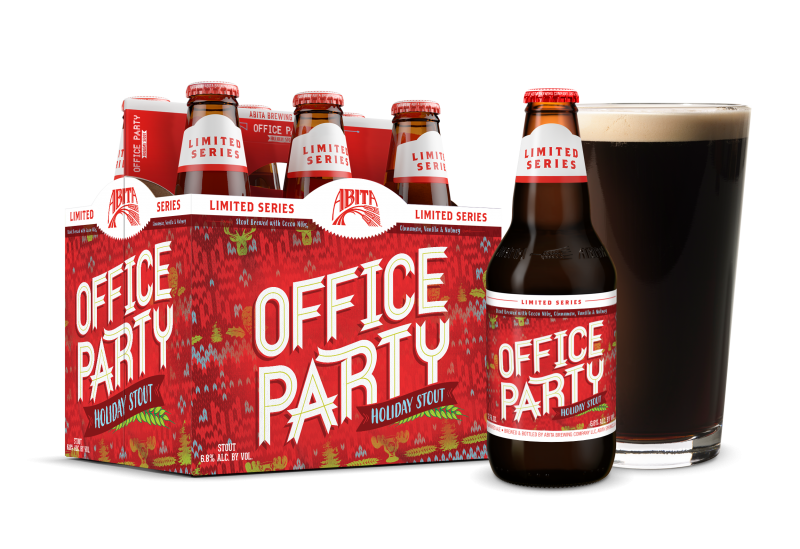 Office Party is a holiday stout brewed with oats, pale, caramel, and chocolate malts, and is hopped with Willamette hops. Generous amounts of cocoa nibs, cinnamon, vanilla, and nutmeg are added to infuse the spirit of the holidays into this limited release.